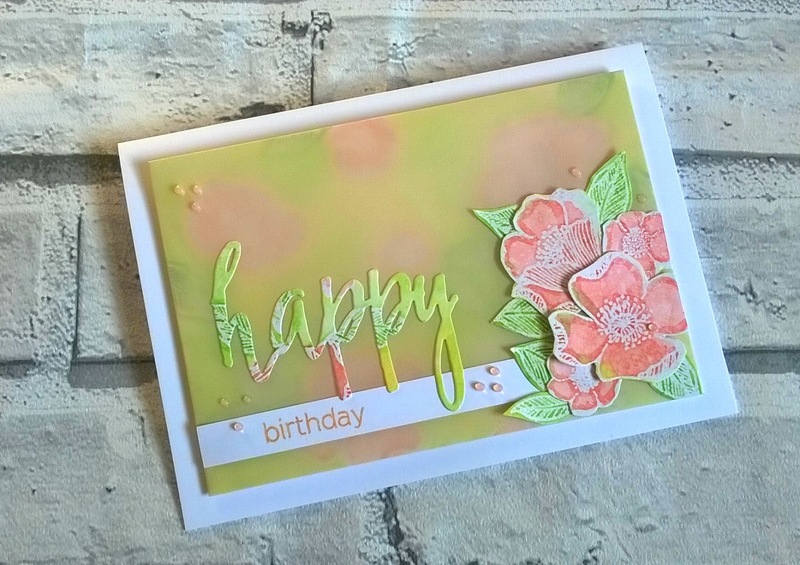 Today I am showing you how to create depth and added interest in your cards using vellum. 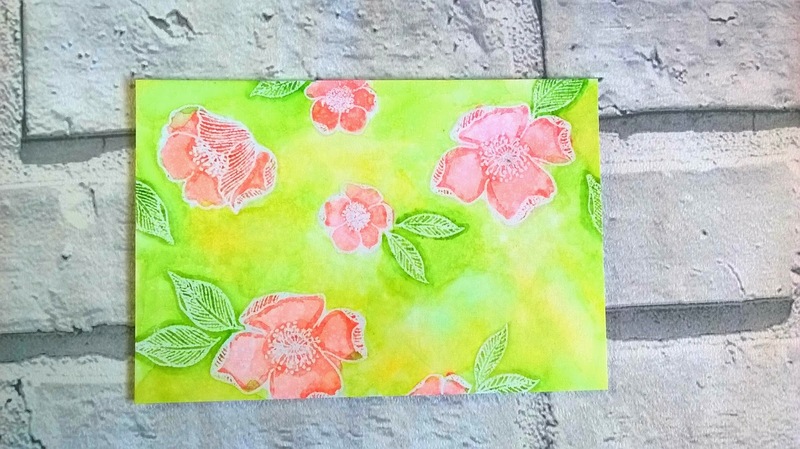 I started by creating a background, I did this using water colour over a clear embossed background. Once dry I covered the image with some printer paper and dry ironed it to remove the embossing powder as I wanted a smooth mat finish. Now I wasn't overly happy with how vivid the colours were but hey Vellum to the rescue! Next I wrapped the card in Ivory Vellum using extra strong tape to secure from the behind. 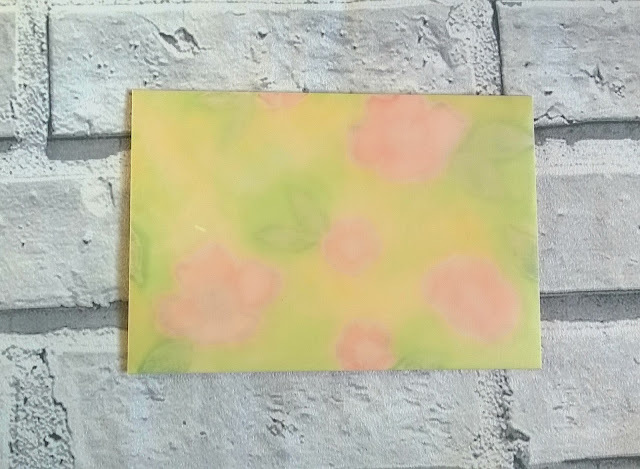 I love how you see a muted image and instantly want to look deeper into the image. 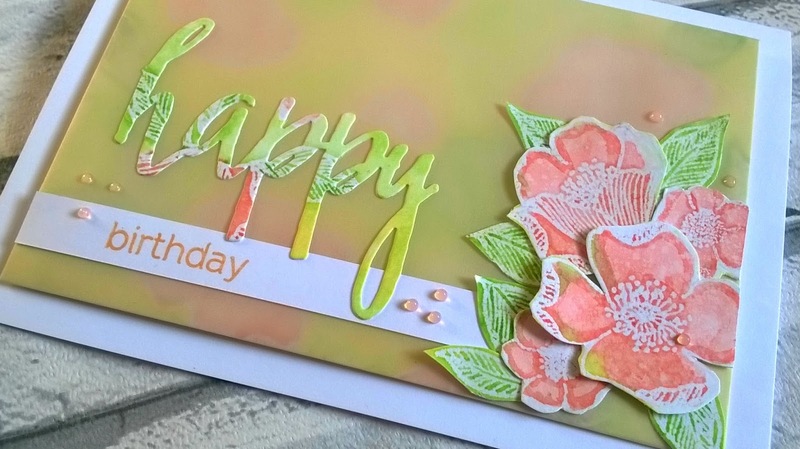 Using some off cuts from my background I die cut the Happy sentiment and stamped birthday onto a strip of white card, I attached the die cut using glossy accents and the strip with strong double sided tape. 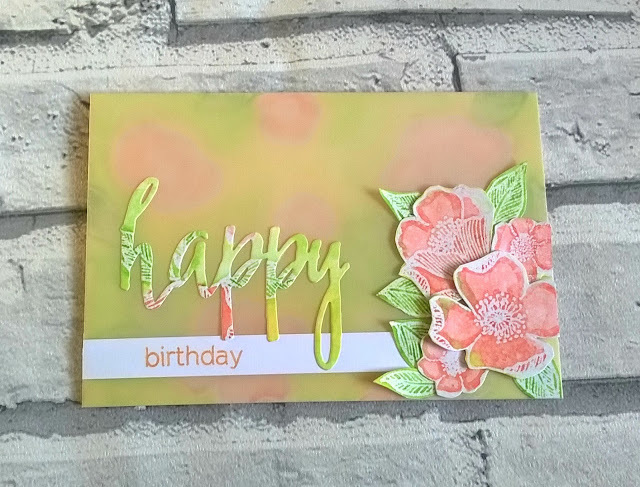 With the remainder of the off cuts I fussy cut some of the flowers and leaves and stuck these to the right hand side of the card. 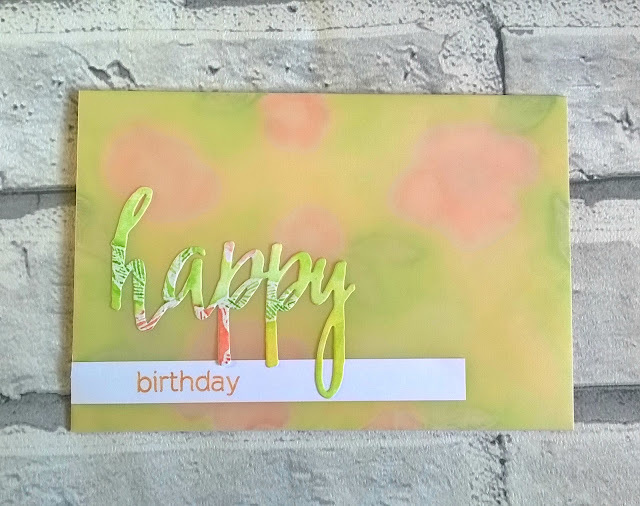 I love the colours and feel of this card. 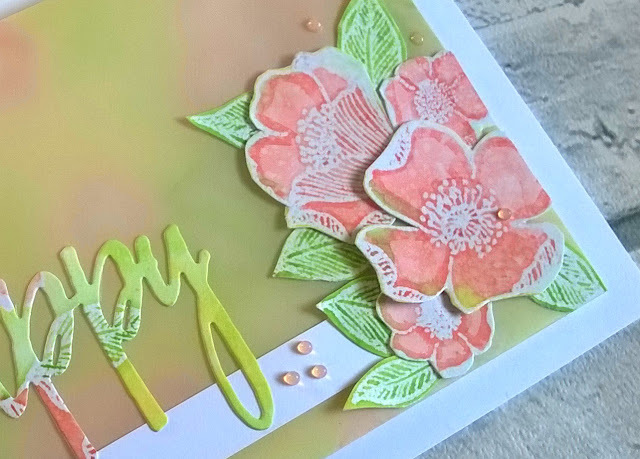 I am so happy with the soft muted look of this project, the detail in the flowers is amazing and just makes me want to smile. I love the soft feminine look of your card. You did a good job of describing how it was made too. Very pretty!